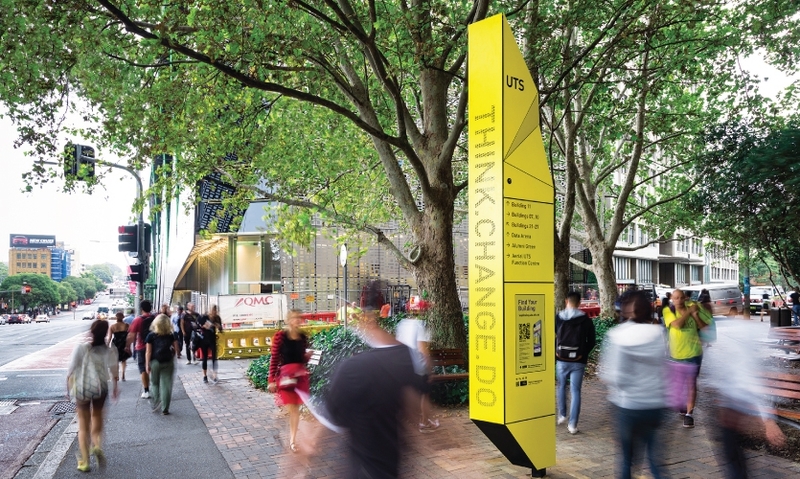 Data-enabled totems make the entire University of Technology campus in Sydney, Australia accessible for maps, spoken directions, security and more. 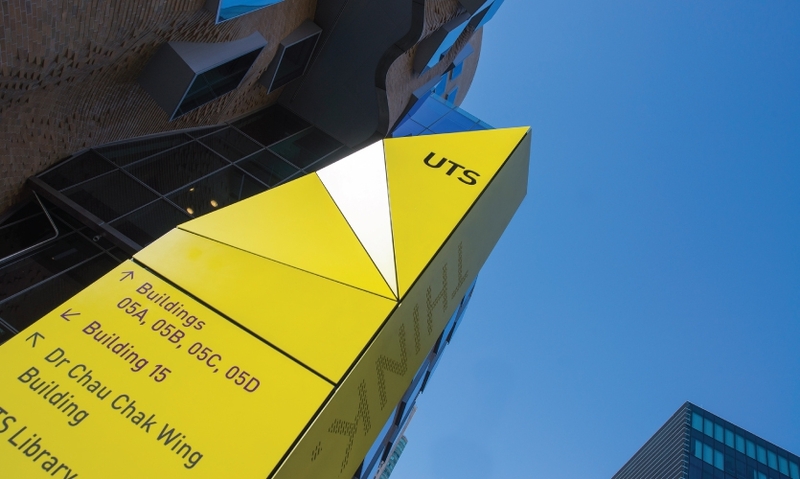 BrandCulture created the color for UTS, as well as a paint system that produces a high quality finish. 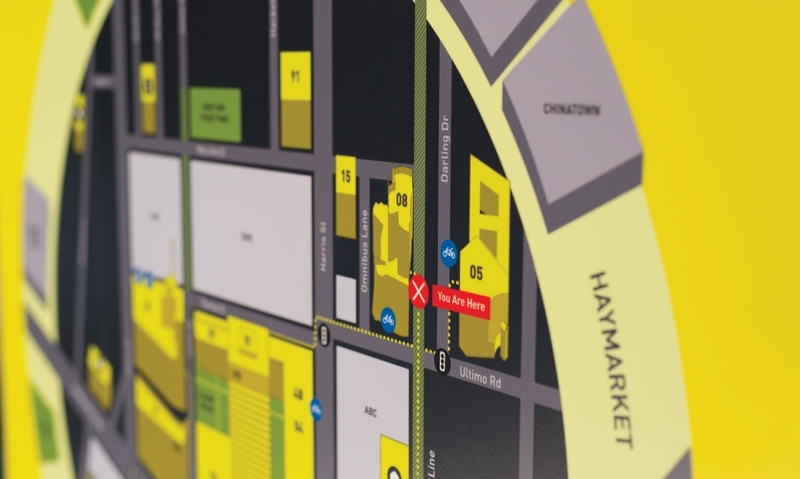 Some sign types include orienting maps. As departments move around the growing campus, sign components held by magnets are easily changed out. 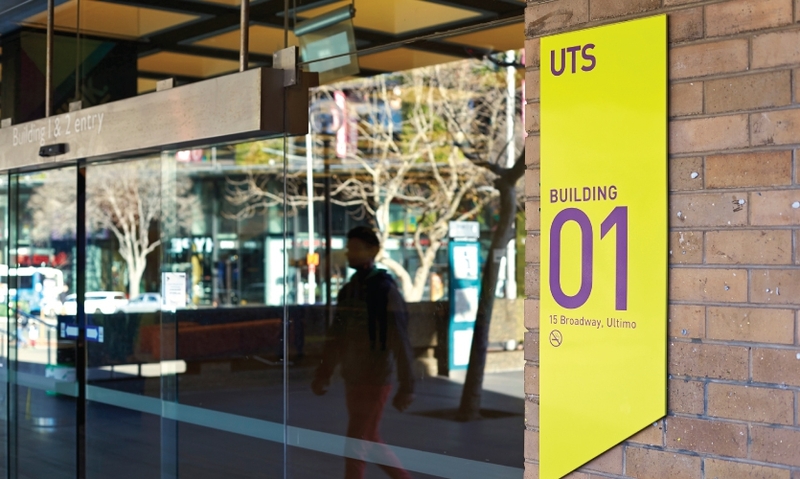 Boldly colored signs identify UTS buildings intermingled with corporate, retail and residence structures in Sydney’s dense central business district. 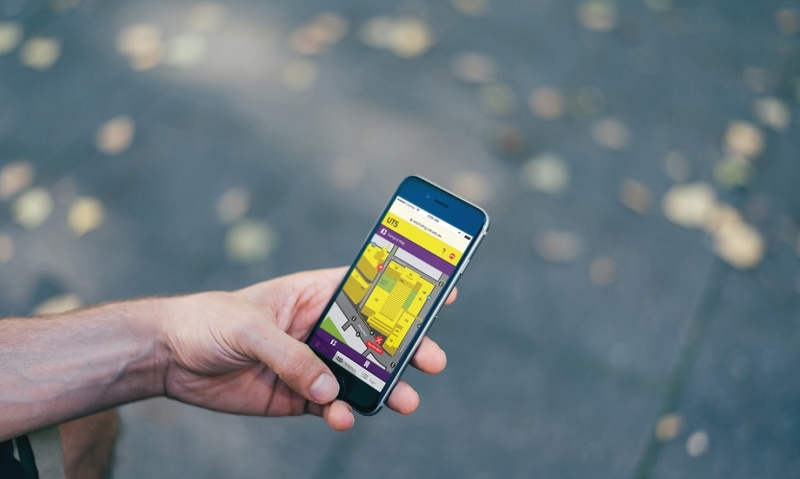 Data-enabled totems deliver campus specific maps to smart phones. 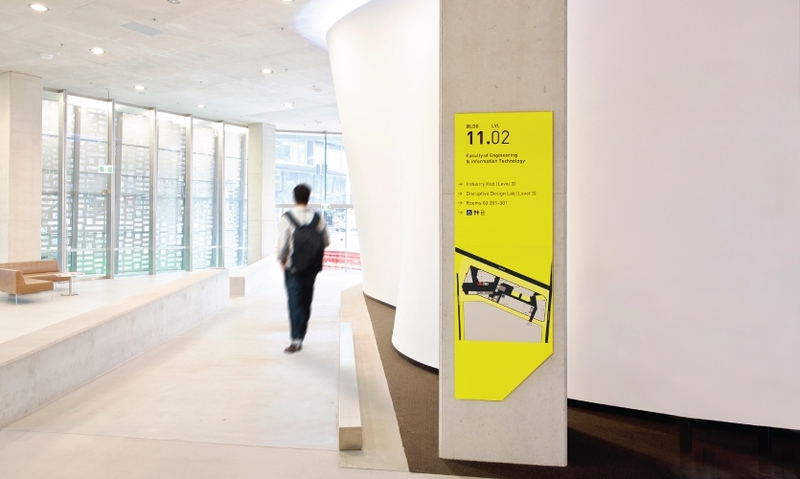 Data-enabled maps and directions are the soul of UTS’ wayfinding system. 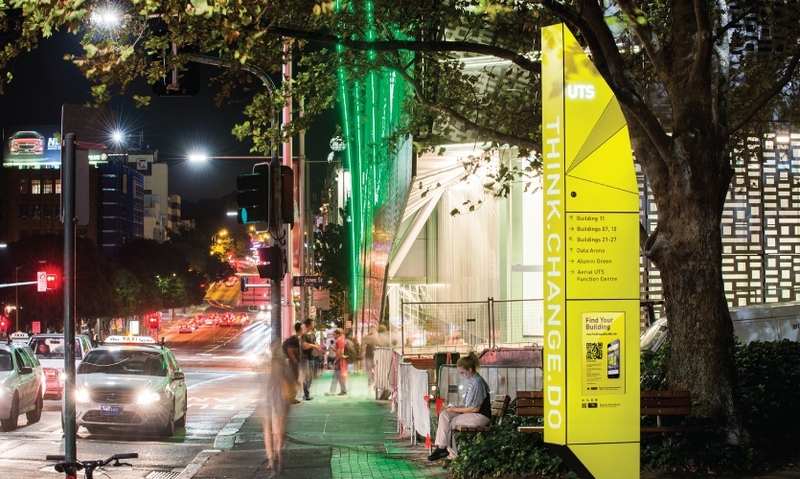 Outstanding design, notable and noteworthy, even in the midst of Sydney’s busy cityscape.